The Sunday Tribune reports that as many as 350,000 jobs are at stake in the industries reliant on sugar. Coca-Cola South Africa says it may need to shed up to 1,000 employees. To a greater or lesser extent, the sugar tax that government instituted in April 2018, is fingered as a culprit in this tragedy. Taxes are not helpful. It is time to come to terms with that reality. We cannot tax ourselves into prosperity. South Africa needs economic freedom and a government that respects freedom of choice. 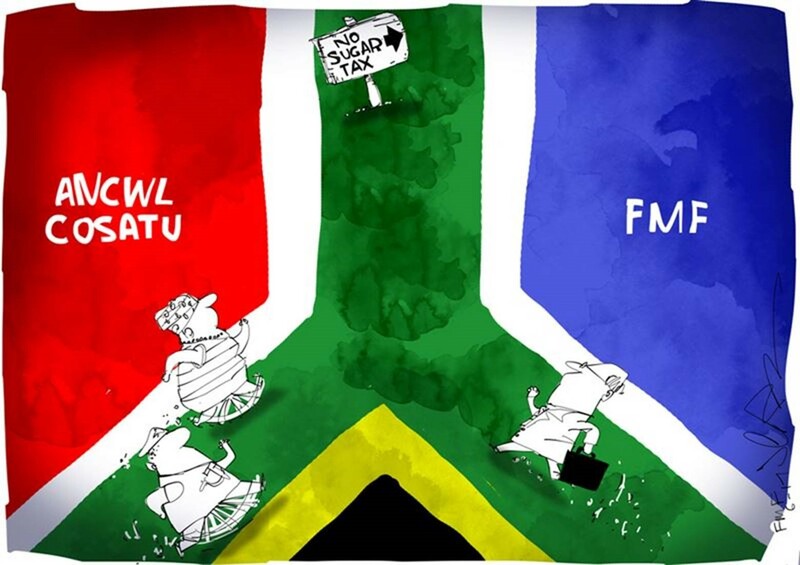 The Free Market Foundation (FMF) noted in 2017 that, for a change, trade unions and the FMF were of one mind about something: that the sugar tax posed a threat to the employment of several thousand people across South Africa. We hoped that this alone would be an indication to government – when organised labour and the free market lobby both disagree with a policy – that it must abandon the introduction of the tax. In its usual, unresponsive fashion, government pressed ahead. Back in September 2016, FMF researcher Chris Hattingh wrote that as a result of the tax, the soft drinks industry’s contribution to South Africa’s gross value added (GVA) could decrease from roughly R60 billion to R47 billion and that around 42,000 jobs in this industry could be lost. Today we are seeing the first signs of the accuracy of that prediction. An acquaintance of mine who advises enterprises about labour-related affairs confirmed as much. One of their clients, a bottling company that does work for Coca-Cola, is in the process of laying off several dozen employees because of reduced business in the wake of the sugar tax. The sugar tax idea, championed by health minister Aaron Motsoaledi, simply increases the cost of living for consumers, especially the poor, and places undue strain on employers, leading to job losses. More importantly, the sugar tax violates the personal freedom of South Africans. At the same time as the tax was implemented, the brands associated with Coca-Cola reduced the size of their offerings from 330 ml to 300 ml with no real reduction in price. Taxing sugar and other so-called “sinful products” is all about government’s unhealthy appetite to raise revenue by any means possible, control ordinary people’s lives, and to maintain its prestige among large global non-governmental organisations. The World Health Organisation (WHO), an unelected and unaccountable international entity, is largely to blame for planting this disastrous idea in the mind of the South African government. In its 2013 Global Action Plan, the WHO encouraged its member states, among other things, to implement taxes that “discourage the consumption of less healthy” food products. In response, the Department of Health adopted obesity control strategies that identified a tax on sugar as an effective measure to inhibit the free choice of South African consumers. Economist Luke Muller noted that a “sugar tax is also regressive”, since “food and beverages make up a relatively larger proportion of expenditure in poor than in rich households”. In simple terms, a poor person who earns only R3,500 per month pays more, relative to their income, in sugar taxes on a can of Coke, than does someone who earns R20,000 per month. In other words, not only is the sugar tax economically ill-considered, but it is also blatant elitist discrimination against the poor who are being effectively prohibited from having a sweet tooth. The Canegrowers Association has called on government to take remedial action. While it is commendable that they have the courage to point out that the sugar tax is a big cause of the impending job losses – it is rare for civil society to attack government ‘feel good’ measures – their recommendation that government should impose protectionist trade measures is ill-considered. Rather get rid of the sugar tax – don’t place any other extra burdens on the economy. It goes without saying that a sugar tax, if not inconsistent with the written text of the Constitution, absolutely falls foul of the spirit and purpose of the Constitution to advance human freedom, dignity, and equality. As such, the tax should be scrapped without replacement. Let ordinary South African consumers decide for themselves what their sugar intake will be. Schadenfreude is experienced when one derives pleasure from the misfortune or humiliation of others. It would be a textbook example of schadenfreude for those of us who have been warning government that the sugar tax will lead to job losses and economic ruin, if the circumstances were not so tragic. We derive no pleasure from seeing thousands of workers joining the ranks of the unemployed. We only hope government takes this as a lesson for the future: Taxes do not solve problems; they create and exacerbate them. Martin van Staden is Legal Researcher at the Free Market Foundation and is pursuing a Master of Laws degree at the University of Pretoria. He is author of The Constitution and the Rule of Law (2019).